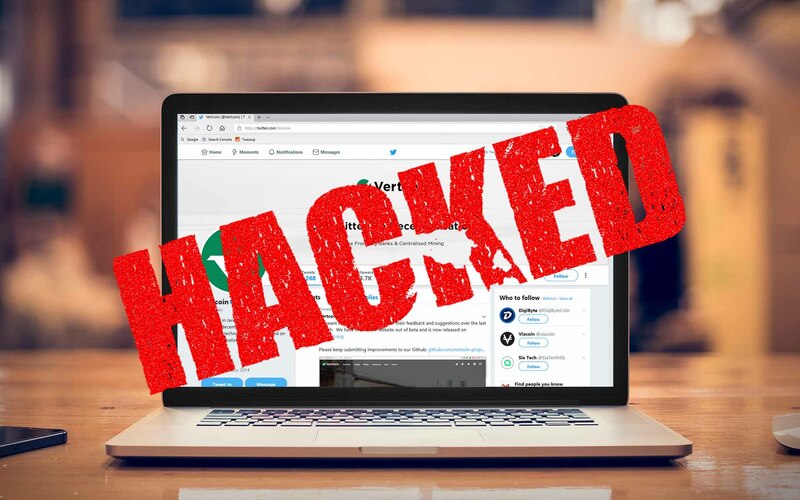 Vertcoin’s official Twitter account was hacked earlier today, with the attackers posting tweets attempting to scam users out of their bitcoins. At around 4:00 PM Tuesday, the Vertcoin Twitter page announced a fake Bitcoin giveaway as a celebration of Vertcoin’s success. The tweet asked users to send 0.005 BTC to an address to enter, with the winner to be announced on May 3. This is an all too common crypto-scam on Twitter, with fake accounts impersonating major players in the space announcing fake ETH giveaways with dozens of replies saying it worked. What makes this scam different, however, is that this is the first time hackers managed to take control of a legitimate account in order to perpetrate the scam. Hey, everyone! Vertcoin and staff are pleased to announce that we’re doing a 10 BTC giveaway to our followers to celebrate Vertcoin's success. Send 0.005 to 3HU5sj7kB6wT9zRwpbhCRrR28vKWjfkMKf enter! Winner will be announced 5/3/18 at 8pm EST. Lead Vertcoin developer James Lovejoy called out the hack minutes after the scam-tweet was posted. The @Vertcoin twitter account has been compromised. We have contacted @TwitterSupport. DO NOT accept any giveaways, they are all fake. News of the hack and subsequent scam spread quickly, with news reaching the front page of r/Vertcoin and alerting users of the attack within minutes. Looking at the address on a block explorer, we see that thankfully no one has been stupid enough to send money the attackers money so far. Have you been the victim of similar scams? How can we combat them? Let us know in the comments below.